Maurice Hendry's Tribute To The Greatest Piston Engine Of The Mall. 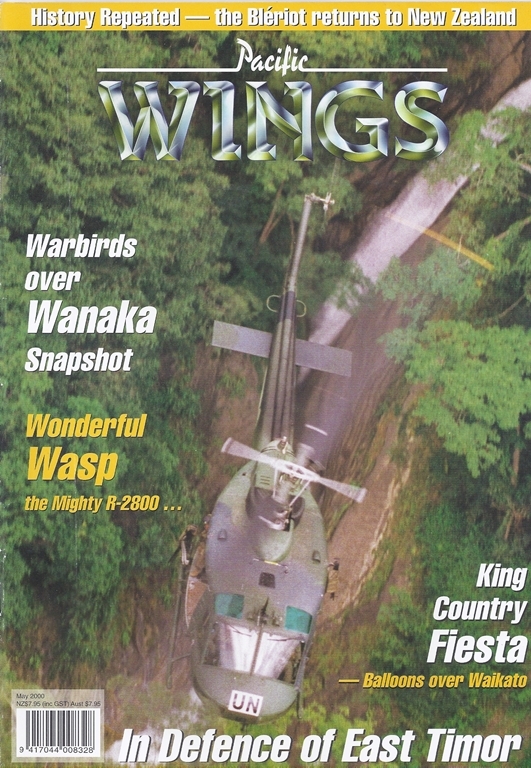 Peter Clark Steps Into The Still Simmering Hot-Spot Of East Timor And Sees The Hard Work By The RNZAF Continuing. A Pictorial Look At This Year's Warbirds Over Wanaka Airshow. Murray Kirkus Reflects On The Life Of Syd Jensen. Undeterred By The Weather, Colin Zuppicich Filed This Report On This Annual International Event. Wing-Warping And Pram Wheels. Peter Clark Takes A Brief Look At Mikael Carlson's Bleriot Xi. Why Do Experienced Pilots Crash?